Expand your DC Comics Universe with these DC Comics Multiverse World Builder action figure 2-packs! The World Builder 2-packs offers popular characters from the video games! Each 4-inch tall DC Super Hero action figure is paired with a true-to-scale, giant DC Super-Villain. Each action figure is highly articulated, highly detailed, and dynamically authentic. 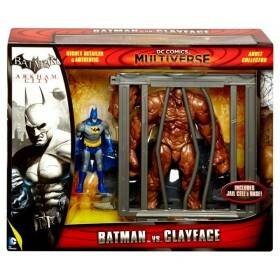 Display the adversaries in the included Arkham jail cell base. 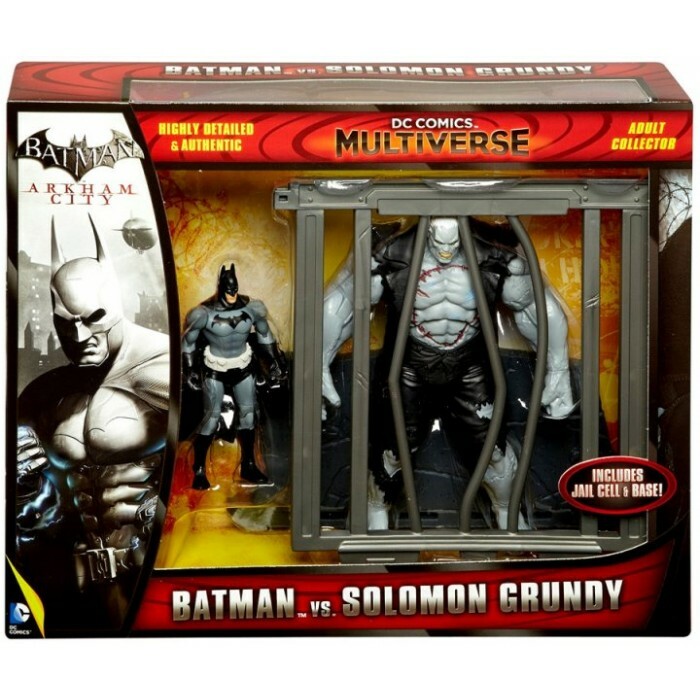 Batman in Year One outfit is paired with Solomon Grundy.